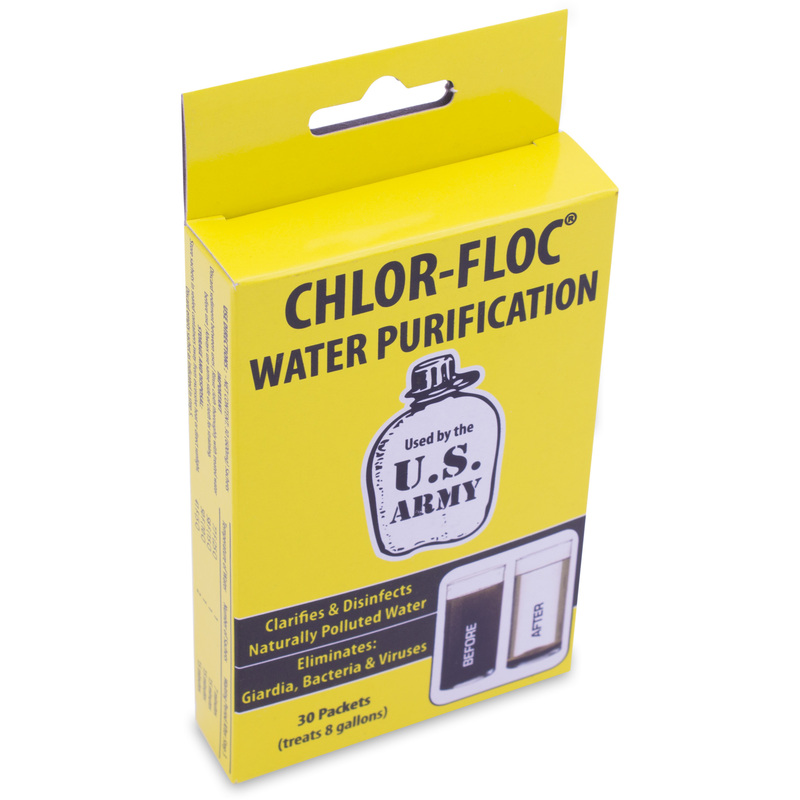 Each packet of Chlor-Floc Military Water Purification provides 1.4% available chlorine and flocculating agents for eliminating Giardia, Bacteria, Viruses, and for removing sediments for up to 1L of water. 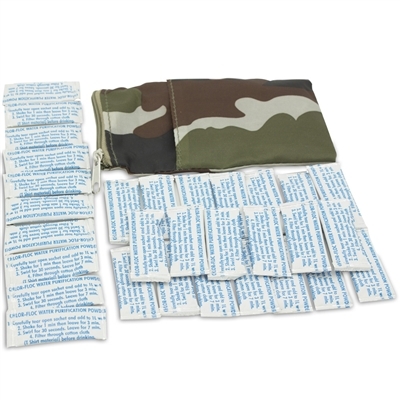 CHLOR-FLOC packets are intended for the clarification and disinfection of polluted or suspect water to make it safe for drinking when treated as directed. They contain a combination of flocculating and coagulating agents, which promote rapid formation of sediment in the treated water. Pollutants, in the form o forganic matter and microscopic particles adhere to the sediment by the action of the flocculation and coagulating agents. The sediments with the entrapped pollutants are removed from the clarified water by straining through a piece of cloth. The cloth can be reused after rinsing with treated water. The chlorine released by the active ingredient is then free to kill Giardia, Lamblia, Cysts, bacteria, viruses, and other harmful micro-organisms that are not removed with the sediment.